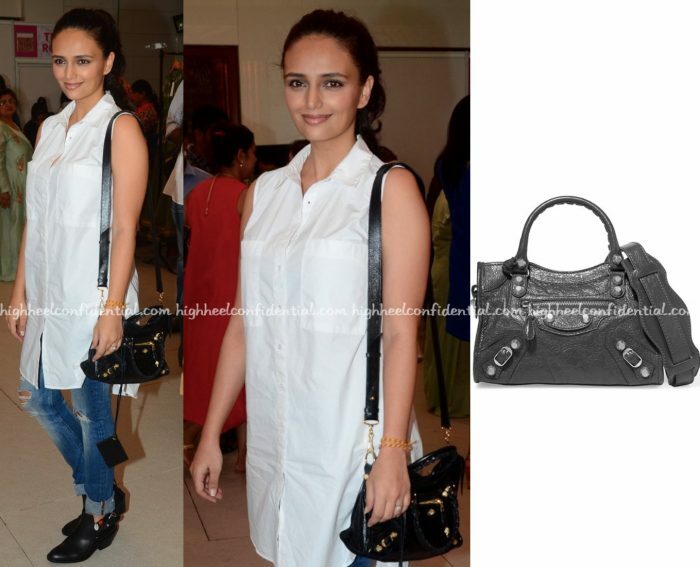 While at Araaish (an exhibition) in Mumbai, Athiya was photographed in an Urvashi Kaur dress. Adding a belt to cinch in the waist, she rounded out the look with matching tan sandals and a Curio Cottage choker. The easy-breezy look is right up her alley. That said, I do think had she swapped the choker out for a longer necklace, it would’ve worked better; what she had on didn’t quite come together well with the separates. While at an exhibition in Mumbai, Athiya was photographed in a beige suit that featured ivory embroidery. Wearing her hair down, she rounded out the look with red lip, big earrings, a stack of gold bangles and brown jootis. 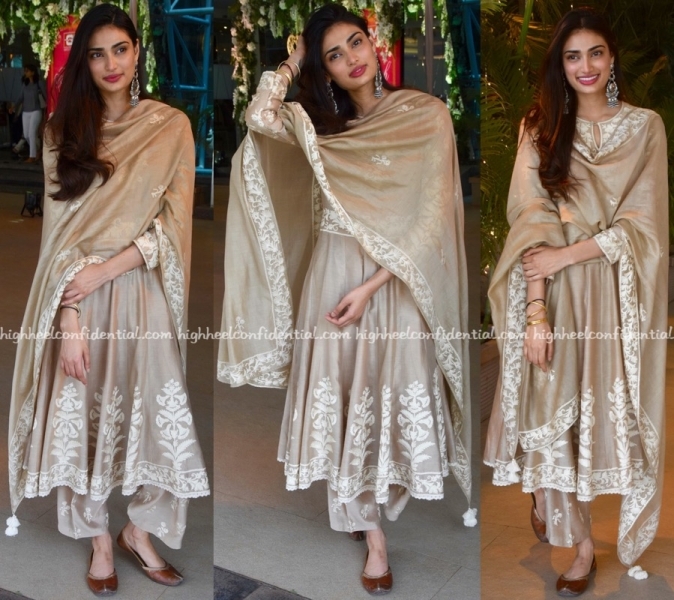 Athiya lent her support to her mom’s charity fashion exhibition in Hyderabad and was spotted wearing Chola separates at the event and while en route as well. Loved the easy breezy look! It’s one I would wear in a heart beat! Teaming a white top with pair of blue shorts from Shift, Prerna attended an exhibition held in Mumbai. Her choice of accessories for the day included Saint Laurent sneakers and a Gucci bag. Like the look on her? Shop The Gucci Bag Here. Shop The Saint Laurent Sneakers Here.